Insolate, formally known as Miss Sunshine, is a true techno veteran with 20 years in the scene under her belt. With releases on DJ Deep’s Deeply Rooted label and her very own Out of Place brand, Insolate now moves on to Proletarijat with a significant release in more than one way. 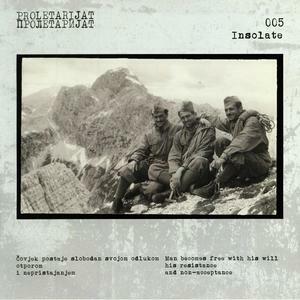 Proletarijat 005 is wholly dedicated to her grandfather who was a Yugoslav partisan during WWII.